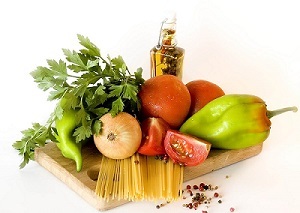 Visit the Phoenix VA Health Care System for recipes that can be searched by main ingredient or by health topic. A cookbook created for Veteran’s without a home or with limited cooking skills and abilities. This cookbook includes microwave recipes, slow cooker recipes, and recipes that require no cooking at all. The newest cookbook created by VA Dietitian Nutritionists. This book contains heathy recipes for breakfast, dinner, side dishes, and desserts. The original cookbook created by VA Dietitian Nutritionists. A collection of recipes with less than 180mg of sodium per recipe. Latin American Inspired recipes for people with diabetes. Each recipe includes diabetic exchanges and nutrition facts. Search the United States Department of Agriculture database for healthy recipes by ingredient or download and print already created cookbooks. This website also has a feature where users can create and print their own cookbook.